SOSKIphoto/Blog: September Deals at B&H Photo! September Deals at B&H Photo! 1. Canon G12 for only $298! – The regularly Canon G12 compact is regularly priced at $379 but can be had for only $298 when you buy it with a Canon Pixma Pro9000 Mark II printer. When you buy both together, you can use a $400 mail-in rebate, dropping your $698 subtotal down to $298. My thoughts: Canon typically announces the updates to the S and G lines of compact cameras in September. I think we should expect to see a S100 successor and a small sensor G12 successor, since the G12 has not been updated in two years. Should you buy the G12 at this price? I would! Whatever Canon comes out with will be better due to technological advances, however it will probably hold a $500 price tag, which is a reasonable amount under the large sensor G1x ($680). If you want an even better deal, you can sell the Pixma Pro9000 Mark II printer online for roughly $200, meaning you're only paying $98 for the G12. To me, that's an epic deal! 4. Mail in this rebate form to get $400 back. 2. 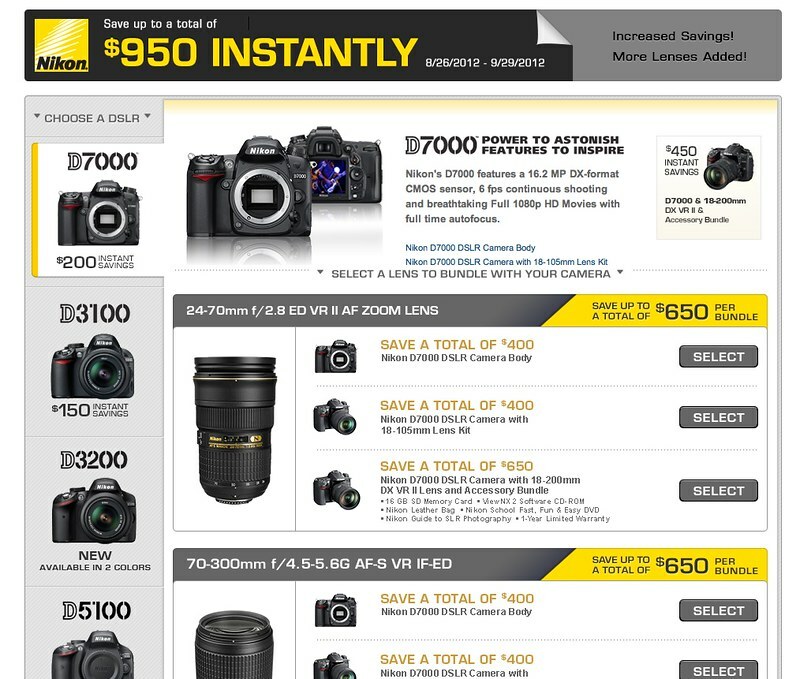 Save up to $950 with Nikon DSLR and Lens Bundles! – Offer expires Sept. 29, 2012. 3. 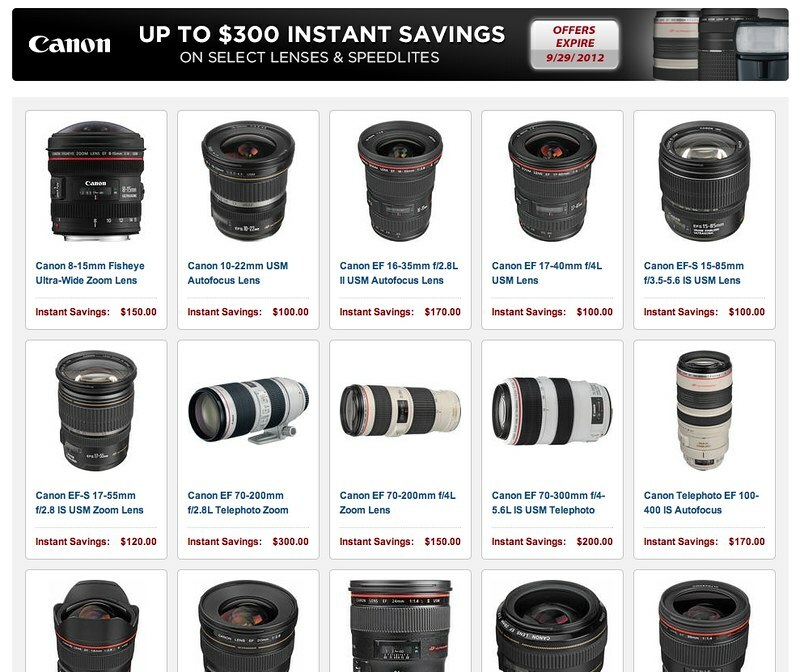 Save up to $300 on Select Canon Lenses and Speedlites! – Offer expires Sept. 29, 2012. I think I will be jumping on the Canon G12 deal. It's a great opportunity for me to grab a fantastic compact camera for a remarkable price, especially if I sell the printer on Craigslist. Will you be taking advantage of any of these rebates? Let me know in the comments below.